By Ilse Zietsman Ilse a freelance journalist, photographer and language specialist who lives in the winelands of South Africa. She is passionate about traveling and food and has traveled to 44 countries all over the world. Her favourite destination is Morocco but she also has a special affinity for Eastern Europe including the Baltics. She is not happy unless there is a plane ticket in her safe at home. Alan Paton (1903 – 1988) was a South African author and anti-apartheid activist; his most famous books include ‘Cry, the Beloved Country’, ‘Ah but your land is beautiful’ and ‘Too late the Phalarope’. Although it’s been decades since I’ve read this the hills around Brahman Hills Hotel and within the 1000 hectare Blue Crane Reserve where they are situated immediately made this passage spring to mind. 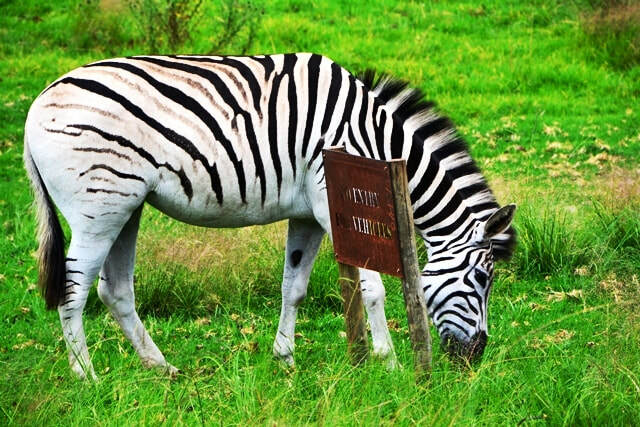 Brahman Hills is in KwaZulu-Natal, in the heart of the Natal Midlands to be more exact. 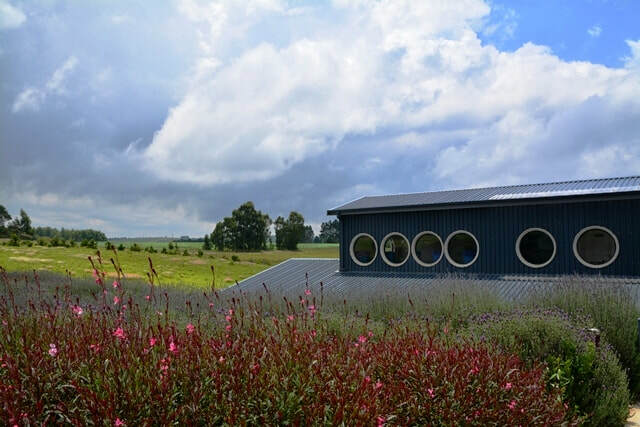 It is a few minutes’ drive from the Midlands Meander, a collection of routes offering local events, coffee shops, deli’s and restaurants, shops featuring arts and crafts as well as vintage finds, historic landmarks, outdoor activities and adventure sports. ​Brahman Hills derived its name from Brahman cattle that were originally named after Brahmins (Hindu priests). Brahman cattle are very attractive beasts; these docile animals wander around on the hills within the reserve and amongst the self-catering cottages. ​Throughout the hotel paintings, etchings and printed cushions pay homage to Brahman cattle. 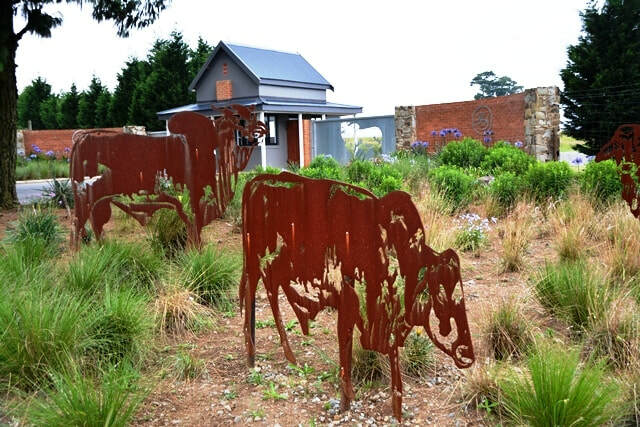 Life size metal sculptures of this breed of cattle even greet you at the entrance to the reserve. ​If you are looking for pampering and relaxation, Brahman Hills is the place. ​​I had what is promising to be one of my best meals of the year at 89 on Copper, the hotel restaurant in a wine cellar in the basement. It is utterly atmospheric - with exceptional food and service. The cosy bar, Copper, is also in the cellar; its arm chairs and comfy couches are irresistible; a fire place in every corner keeps it warm. The Brahman Café serves breakfast as well as lunch and dinner a la carte. Breakfast is also available at the Agility Hub on request for groups. The Lake House, a glass chapel overlooking a lake – and those hills again – has made Brahman Hills a popular venue for country weddings. Inevitably guests break into a fit of giggles when a herd of cattle or antelope amble past whilst the bride and bridegroom are taking their vows. From the porthole windows of The Spa at Brahman Hills you have a view of the undulating hills of the reserve and of zebras grazing. The Spa has eight treatment rooms and a manicure and pedicure room as well as a Tranquility Lounge and a Champagne, Coffee and Chocolate Bar. Once your massage and exfoliation treatment – there is a wonderful selection of essential oils with different properties to choose from – is done you are escorted to the downstairs bathrooms. This was one of the greatest surprises of my stay. ​Each bathroom is divided into two sections – the indoor section has a luxurious bath tub facing the outdoor section. The outdoor section has wooden walls but is open to the sky. Whilst happily wallowing in a scented bath I dreamily stared at another porthole window with a water curtain feature adding to the ambience and with birds chirping outside. Back at our self-catering cottage I could have opted for a stint in the outdoor jacuzzi but I opted to crawl into bed with a book instead. The cottages are rustic yet modern at the same time. It feels like home with the added plus that it is serviced every day. You can even ask the chef to come over to prepare a meal for you. This is exactly what we did - we were treated to a real South African braai (barbeque) with a selection of meat, scrumptious potato salad the way it is made by South African oumas (grandmothers), fresh fruit and the ubiquitous braaibroodjies (a grilled cheese, tomato and onion sandwich cooked on an open fire) loved by all South Africans. 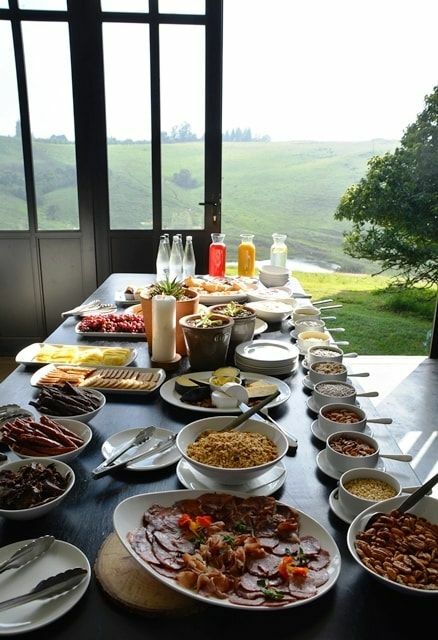 The Midlands Kitchen – a few minutes’ walk from Brahman Hills – also offers traditional South African dishes such as Durban curries and bunny chow, a unique food invention that originated in Durban, the capital city of KwaZulu-Natal. The Midlands Kitchen offers fifteen kitchens under one roof. Some of the options are artisan pies and pizzas, organic burgers, hot and cold vegan bowls, Portuguese chicken and Mexican nachos or quesadillas as well as a breakfast bar. 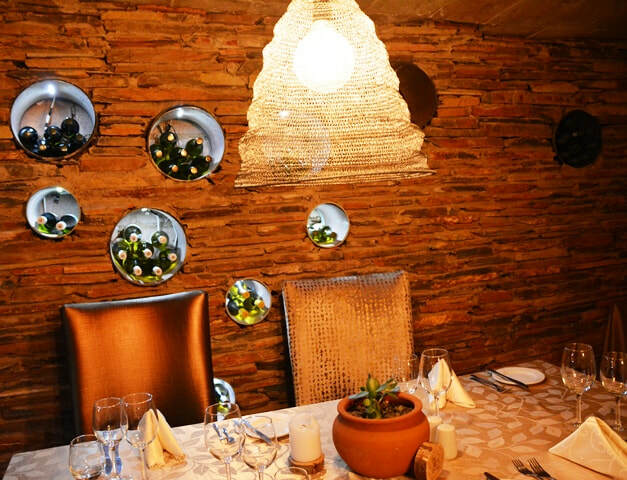 If you have opted for the self-catering cottages – or you find yourself in the vicinity - you would be foolish not to treat yourself to a meal at this innovative establishment. The Midlands Kitchen is also ideally situated for a sit down meal or a healthy takeaway en route to Durban. They are open for breakfast and lunch. 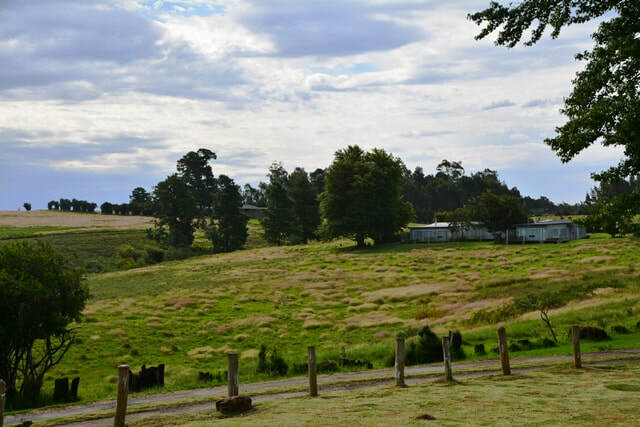 ​My visit to Brahman Hills, the Midlands Meander and the Midlands Kitchen was indeed lovely beyond the singing of it.